The Main Air Chambers (i.e. lifting air chambers) should sink in the center and pool with water creating a "V" or "cradle" shape. This will allow the boat to glide in easily. In dense water, such as salt water, small weights may be needed to cause the center to sink. The size of the internal guide chambers should be adjusted to match the particular boat on the Air-Dock. 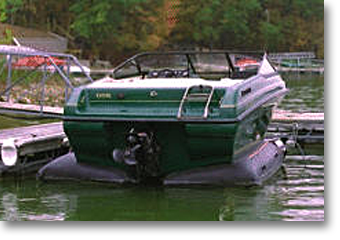 Drive your boat into your dock slip the same as you normally would except with a little more throttle. The boat's hull should slide easily into the Air-Dock. In fact, most boats up to 30 feet long can be pulled into the Air-Dock by hand with a rope. Once your boat is aligned, attach mooring lines to the four corners of the boat. These lines should be tight and should cause the small lines attached to the air chambers to become slack. 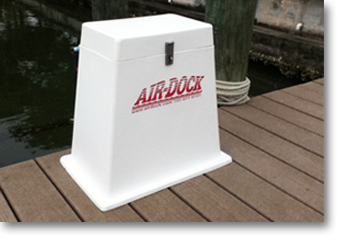 Do not to let the air chambers rub on the dock or any other structure. 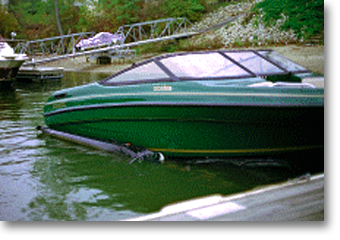 Run the blower until your boat is raised completely out of the water. 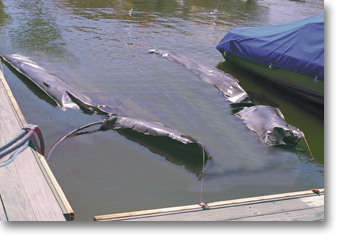 Do not raise the boat more than 4 inches at the stern and 2 inches near the bow. Adjust the air supply to the main air chambers to level your boat. With an Inboard/outboard (I/O), or Outboard raise the outdrive unit to the "trailer" position. 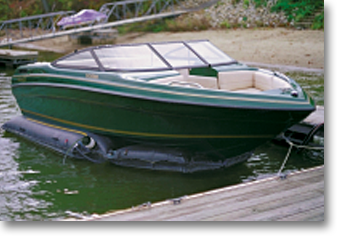 To lower your boat, simply open the three air valves and wait until the air is completely exhausted. 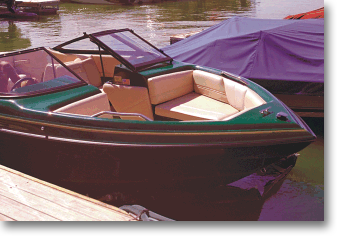 The Air-Dock boat lift includes a 110 volt AC electric blower. if you do not have 110 volt AC power available at your dock we have an optional battery inverter (700 continuous watts) to operate the standard blower from your boat battery. 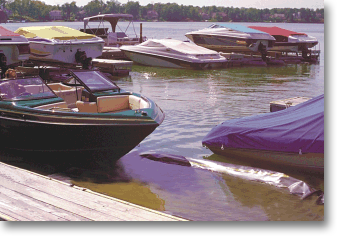 Inflation times vary from 3 minutes to 12 minutes depending on size of boat and Air-Dock.